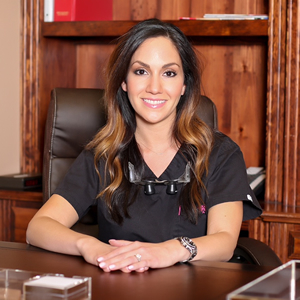 Dr. Martha Iliana Garcia is the owner of MIG Dentistry, located in Carrollton within the Dallas fort worth metroplex. She is very passionate in helping you love your smile! She loves what she does and can’t wait to meet you! What makes Dr. Garcia different? She was born and raised in Texas, originally from Corpus Christi- the sparkling city by the sea! Dr. Garcia knew early on in life what she wanted to do and was accepted in dental school in San Antonio as a freshman in college thru the Dental early Admissions program. Dr. Garcia graduated dental school with the award for clinical Excellence in General Dentistry. She then took her studies further and finished a 1 year General Practice Residency in Dallas located at the veterans hospital and Baylor Dental School. Dr. Garcia found a wonderful opportunity in private practice within DFW and became an associate there for almost 10 years before becoming the owner of MIG Dentistry. She was very luckily to transition into this practice and location, working with the previous owner Dr. Vittetoe has been a wonderful experience! Dr. V has had a tremendous career and Dr. Garcia only hope to be as successful as he was! Dr. Garcia is fluent in Spanish.